While the whole world is still trying to figure out how to swallow the bitter reality that Manny Pacquiao lose a fight yesterday to Timothy Bradley, have you ever seen your dad, brother or best friend how they looked like while watching the controversial fight? Every time there is a key boxing event, I am always reminded of my late father. In my childhood days during these major events no one in the household could watch anything on TV. Switching the channel would be like chasing bad luck and adversity. Thus you would have to settle with other forms of entertainment. But for me my dad is my source of entertainment during these TV boxing episodes. He is not the commonly overt cheerer type. He is neither a clapper nor a shouter. When he watches a fight, he would slightly sway his body from left to right front and back as if he would parry, dodge or deflect an opponent’s punch. These movements are so faint and subtle you wouldn’t notice it unless you would stare, watch and observe. That is why every time my father would watch a boxing match I would cunningly observe him. When his posture and movements would go too obvious, I would laugh out loud. He would then gently ask me why I am laughing and I would just say nothing and pretend as if I am also watching the match aired on TV. When he would shift his center of attention back to the fight on TV I would again watch him and laugh out loud once more when his swaying movements would yet again gone too apparent. 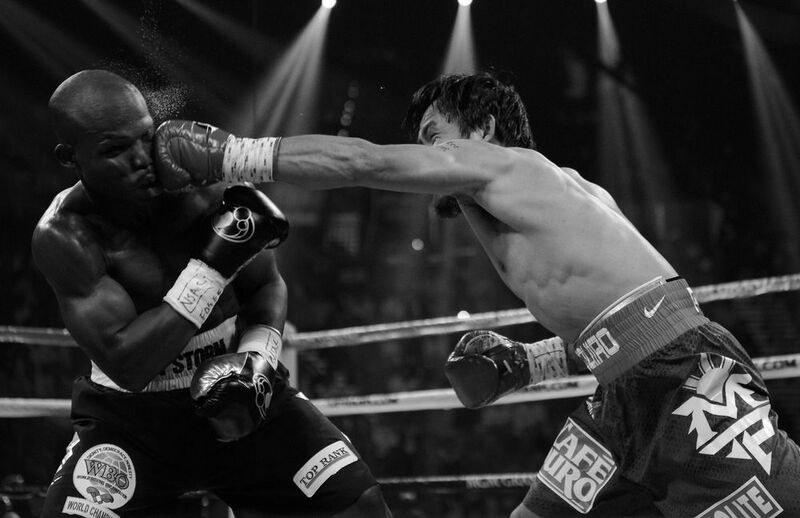 Bradley, Pacquiao, Maywheather, Donaire and other pound for pound kings may popularly break through the history of boxing and will eventually retire but Tatay Joe’s eccentric yet barely obvious moves will always remain as the most entertaining to watch during a boxing match. I of course will forever cherish those treasured moments. So the next time your dad, husband or brother would watch a boxing match on TV try watching them instead and be entertained!